Okay, we not be the handiest of people, but when we saw this project on Apartment Therapy it made us want to break out the toolbox. 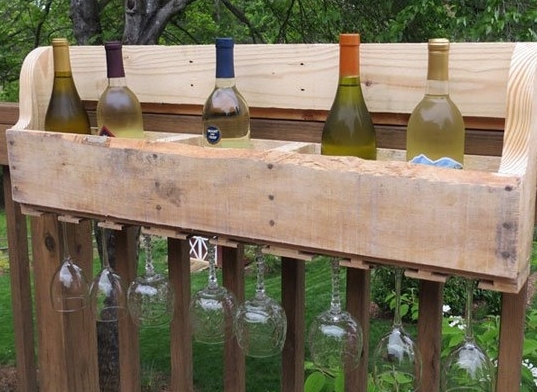 For relatively little money, you can create an outdoor wine bar and have a great entertainment space right on your patio! Check out the instructions here! It is that time of year! Minneapolis Restaurant Week is finally here and it is great time to explore the foodie scene for a very reasonable price. Not only are their dining options downtown in both cities, but also some great places in the suburbs. Be sure to check out all the restaurants and their menus at the MPLS St.Paul website and grab your forks!